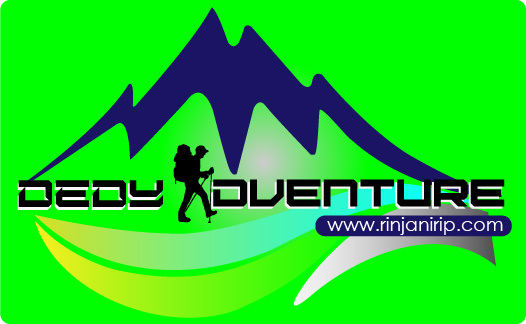 Trekking Rinjani – Visiting the gunung Rinjani national park usually the peek of Rinjani mountain becomes the main purpose of the adventure. But it’s good you take the time to enjoy some exotic spots scattered around the mountain Rinjani. You can visit these places before or after the Trekking Rinjani. Some interesting places such as waterfalls, natural caves and several hot springs ready for you to enjoy while restore your energy and enjoy nature in the mountain national park Rinjani. Peak of Rinjani Mountain is the main reason why you travel far to this place. Massive climbing activity conducted in July to August. In August (mid) climb participants are generally dominated by college students from all over Indonesia. Who want to celebrate the Independence Day of the Republic of Indonesia at the summit of Mount Rinjani and Lake Segara Anak through activities “Tapak Rinjani”? 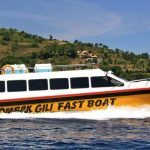 Which is held regularly every year by one of nature lovers group in Lombok Island in cooperation with Gunung Rinjani National Park Association. The place you should visit while in Mount Rinjani National Park which is the very beautiful Segara Anak , this location can be reached from two official tracking lines climbing the Senaru ascent path and Sembalun tracking route. To commemorate Segara Anak Lake from Senaru route it takes about 7 – 10 hours walk (± 8 Km) from the gate of Senaru ascent route. Or from the Sembalun climbing route taken within 8 – 10 hours. Segara Anak within an altitude of ± 2.010 m above sea level. While lake depth of about ± 230 meters has a shape like a crescent moon with an area of ​​about 1,100 Ha. Surrounding Segara Anak there is a wide and flat land. Can be used for camping / camping, can also be fishing in the lake or soak in hot air containing sulfur. In Sasak, Koko ‘Puteq means a white river. River with high sulfur content is yellow whitish. Before the opening of the conventional Senaru climbing route in North Lombok and Sembalun in East Lombok. The traditional Lombok people are already familiar with the Torean and Sajang lines. The river that directly connected with Segara Anak was an ancient path used by ancient climbers. This ancient path is natural form because both of it along the sides of the flow of water Puteq Kokok. If the path Sajang along the eastern cliffs of the Bukit Penyesalan. Torean line just down the western Bukit Sangkareang. Interestingly, these two traditional lines are the shortest path to Segara Anak. From Torean or Sajang, it takes about eight to 10 hours to reach Segara Anak. Until now, local people and Lombok climbers still use this path to get faster to reach Segara Anak. Entry into Goa Susu is quite difficult, which must duck past the small entry into the cave and the flow of water from the cave that grows moss so making the way extremely sleek. Inside the cave, there are some more narrow holes that are just enough for small people. The atmosphere inside the cave is so stuffy with plenty of hot water vapor. So it is advisable not to stay in the cave for to long. Location Goa Susu can be reached from the camping ground of the Segara Anak for 45 minutes to one hour. Tiu Kelep Waterfall one of 2 waterfalls under the foot of Mount Rinjani Lombok. For those of you who are curious about the beauty of this Tiu Kelep waterfall. The track that must be passed quite steep so it will be perfect for those of you who like to extreme tracking adventure. But do not worry, after going through a fairly steep terrain, you will be amazed with the charm of the fascinating waterfall. This Tiu Kelep waterfall is located after Sendang Gile waterfall. In addition, Tiu Kelep waterfall has a height of 45 meters. The high flow of water that flows from above to the surface of the river makes the water debris is greater. If you do not want to get wet, it is advisable to use a raincoat or waterproof jacket. Because sprinkling waterfall Tiu Kelep can reach a considerable distance.